Alpha Kappa Alpha Sorority, Incorporated, the country’s oldest African-American sorority, has pledged an endowment in the amount of $100,000 to Bennett College. The gift is one of the largest the Institution has received since announcing on Dec.11, 2018, that it must raise a minimum of $5 million to remain accredited by the Southern Association of Colleges and Schools Commission on Colleges. Alpha Kappa Alpha was founded on Jan. 15, 1908, on the campus of Howard University in Washington, D.C. The sorority has about 300,000 members worldwide. Notable members include Congresswoman Kamala Harris, who this week announced her candidacy for the Democratic nomination for President of the United States, actress Phylicia Rashad and author Toni Morrison. Bennett College President Dr. Phyllis Worthy Dawkins was notified of the gift in a letter from Alpha Kappa Alpha Sorority, Inc. International President Dr. Glenda Glover, who said the sorority wanted to support Bennett because of its national goal to support and make an impact on Historically Black Colleges and Universities (HBCUs). 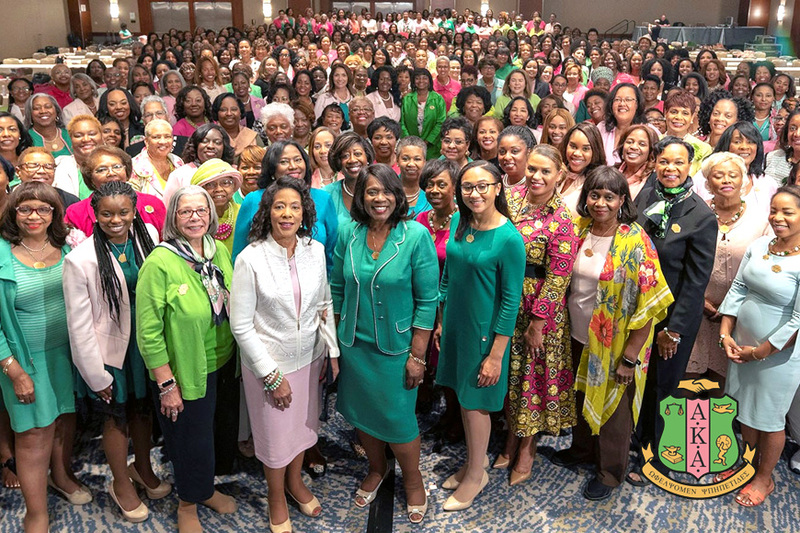 The endowment will be presented at a Black History Month gathering of HBCU presidents at Alpha Kappa Alpha’s International Headquarters in Chicago. Dawkins said the Bennett College family is grateful to Alpha Kappa Alpha for the generous donation. In addition, local AKA chapters have been very supportive of Bennett. On Dec. 11, 2018, Bennett College was removed from membership in the Southern Association of Colleges and Schools Commission on Colleges. Bennett immediately appealed the decision and remains accredited during the appeal process. Bennett was removed strictly for financial reasons and was not issued sanctions against its academics, leadership, faculty or students. Bennett has a history of producing outstanding women leaders, including: the first woman or African-American to head the U.S. Peace Corps; the screenplay writer for “The Loving Story,” which in 2016 was made into an Academy Award-nominated motion picture; the Deputy Minority Leader in the N.C. General Assembly; the first African-American female dentist in Indiana; the first African-American woman to serve as an Assistant Attorney General in Massachusetts; the first woman to hold the position of Director of Drug Program and Policies within the National Football League Players Association (NFLPA); and the first active teacher and youngest person to be elected to the Berkeley (California) Unified School District School Board. Current Bennett students and recent grads are also impressive, including senior business administration major Tyler Binion, who was selected among 63 students to serve as a Competitiveness Scholar through the White House Initiative on HBCUs, and Delrisha White ’13, who enrolled in Bennett from the foster care system in San Francisco and became SGA President. She graduated with honors and is now earning her master’s degree at Harvard.